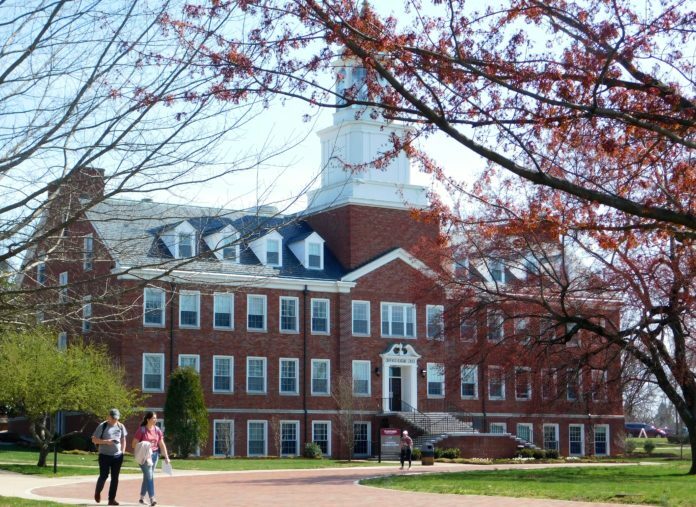 In 2016, the National College Health Assessment (NCHA) was administered on Transylvania’s campus, and its results showed that 36 percent of the campus believed that stress affected their academic performances. Last semester, I was given the chance to talk to Ashley Hill, Director of Student Wellbeing, about how Transylvania students can cope with stress. When these stress levels rise, Hill said that it can cause distress and anxiousness among students, especially during finals week. Hill’s first suggestion is that students plan and prioritize what needs to get done before the semester is over. This can include making to-do lists for yourself. Staying organized is another important skill that will help during finals week. A few suggestions Hill gave were keeping all of your class notes together or purchasing a different notebook for every class. Knowing where everything is for a class makes studying a lot less stressful. Hill made it clear that no student should ever have to sacrifice their grade for the sake of stress, so she suggests asking your professors for help. If you have multiple projects due on the same day, Hill suggests that you communicate with your professors about the situation. “One thing I always encourage people to do is a mental check-in halfway through the semester,” Hill suggested if there are particular classes that are stressing you out. 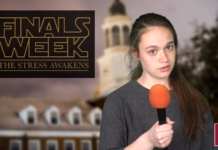 She also suggests that students take into account the withdrawal dates for classes if they find that one class is causing a lot of stress on them. If the date has passed, you can always apply for a late withdraw with your professor. “Students also have the opportunity to talk to their faculty about incompletes,” Hill said, which are requests to finish assignments over a break. This can typically be used if there are intervening events going on at the same time and a student is unable to finish their assignment. Especially during finals week, where you decide to study can be very important. Hill told me that a student should match their studying environment to their studying habits and recognize what distracts them. Rewarding yourself is just as important, and Hill views rewards as time that a student can take to make themselves happy. Lastly, Hill suggested that students use the resources offered on campus, such as the ACE and Writing centers located in the basement of the library. The math and science departments are also offering tutoring hours in room 007 of the library from 7-9 p.m. Sundays through Thursdays.